The back of the beautiful Casino building. It was designed by Charles Garnier, architect of the Paris Opera House. Construction of this beautiful Belle Epoque building started in 1858 and finished in 1863. Here is a bit of trivia, which you probably know. The architect who lost the commission to design the Paris Opera House to Garnier wanted to show Paris that he was worthy. His next commission was to design the mansion on Boulevard Hausman that is now the Jacquemart-Andre Museum. He created a masterpiece. The museum, formerly a residence, has a double marble spiral staircase to a second story balcony for an orchestra in the music room. The walls separating the music room from the living room and entrance hall were on hydraulics that could lower the walls into the basement to creating seating for a party for more than 1,500 of the family's closest friends. The Jacquemart-Andre Museum, which is our favorite in Paris, is similar to the Frick Museum of New York. If features the collection of the family on display in their former residence. The mansion is part of the attraction and the collection itself is a statement of the art of collecting. It is operated by the same foundation that operates the Villa Ephrussi de Rothschild, which you have shown on your site. We recently read in an airline magazine that the museum's restaurant was rated one of the best places in Paris to enjoy a cup of coffee, but I recommend the chocolate dessert. and thanks to Dave for his information. Dave, well I didn't know that, so thank you so much for the info. Fascinating. And I didn't know either that the same foundation operates the Villa Ephrussi de Rothschild. You always have much marvellous information. Thanks, Dave. Monumental picture, Jilly. Terrific. I've got out of the habit of wide-angle, but you've caught the grandeur of the building so well. Hurrah! hi jilly, long time no see. 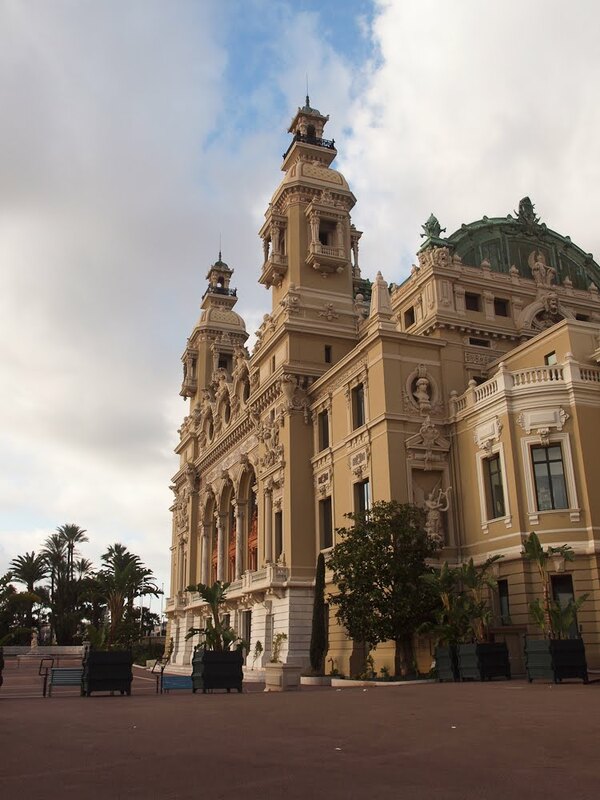 and one more lovely monte carlo photo. love to you. xoxo. Wow, it is much nicer than the ugly casinos that you see these days...this actually makes going to a casino look elegant like it did in the past!